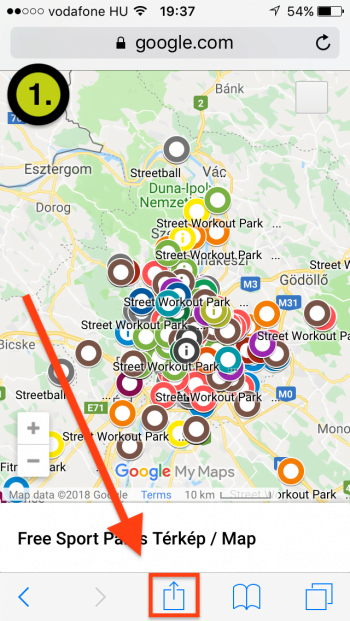 You can install Free Sport Parks Maps in a few seconds as an APP (no need to go to App Store or Play Store), if you open the Map's link in your browser and follow the two-three steps below. 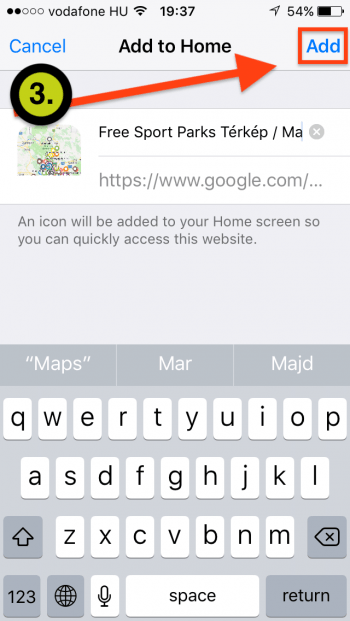 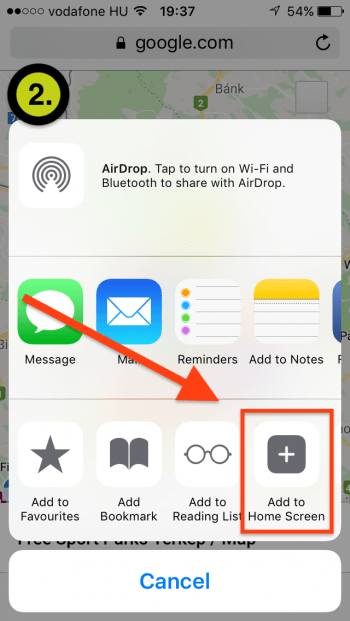 The icon of Map will be appeared among your other app icons. 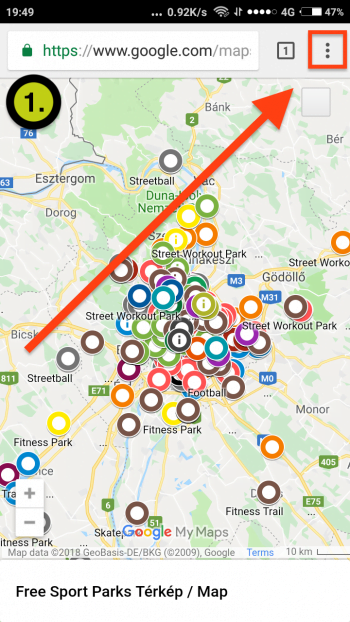 After this only click on the icon and always will be launching the latest version of Free Sport Parks Map. 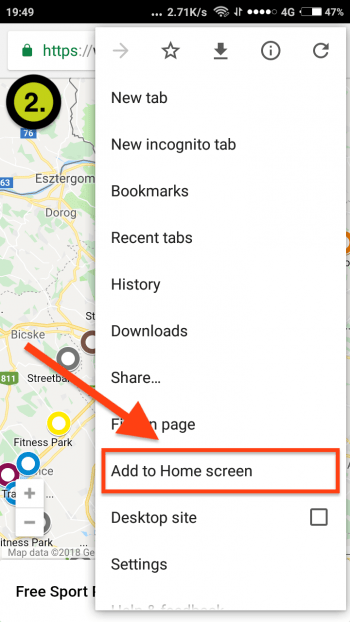 The map is created with Google My Maps so it’s platform independent and available by using any computer, laptop, tablet or smartphone if you open the map’s link in a browser. If you use different device or browser then the above mentioned three you just follow these steps to install it.